Bowdoin Bears, the College’s participation society, recognizes and thanks loyal alumni who support Bowdoin year in and year out. To become a member, alumni must have a history of five or more consecutive years of giving to Bowdoin’s annual funds, or continuous giving since graduation for the five youngest classes. 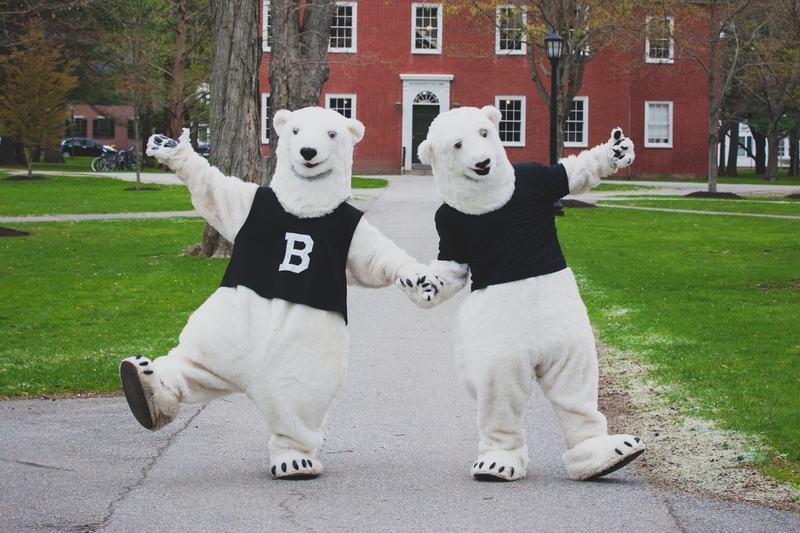 Like Bowdoin’s Polar Bear mascot, Bowdoin Bears are fiercely loyal and dependable, and guarantee Bowdoin’s margin of excellence through continuous annual support. Of those who give to the Alumni Fund each year, more than half are members of this important society, and Bowdoin sincerely appreciates their steadfast commitment. Geoff Flint ’94 finds it difficult to narrow down his reasons for coming to Bowdoin. “I chose Bowdoin for a variety of reasons including its high academic standards, its small size, its shared love of the outdoors, the beautiful campus with New England charm, and my own love for coastal Maine.” He adds, “I also loved the fact that so many people at Bowdoin participated in the Outing Club and shared my love for the outdoors." "I believe in Bowdoin. As a student in the 1970s, it opened me up to unlimited possibilities and afforded me academic and extracurricular opportunities that helped shape me as a person. I have always felt it was important to give back to the college to insure that it can continue to shape the leaders of tomorrow. For the past decade, my annual gifts have gone toward funding a summer internship with the Maine Nature Conservancy for a student interested in environmental studies." Bowdoin Bears Society member Peter Logan '75 cares deeply for both Bowdoin College and the environment. 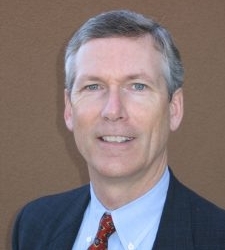 Peter is an attorney specializing in civil litigation and leads the Logan Law Group in Novato, California. 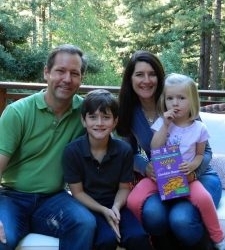 Peter is most proud of his children (his daughter Caroline graduated from Bowdoin in 2014), his service as mayor of Tiburon, California, and his forthcoming biography of John James Audobon. Peter fondly remembers many Bowdoin accomplishments including helping found the water polo team, his weekly WBOR radio program, being part of Bowdoin's first co-educational class, and his two years on the Judicial Board. In his spare time, Peter pursues his dream of seeing at least 700 different bird species in North America. 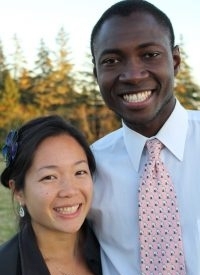 "Bowdoin is a special place for us. Our Bowdoin experience benefited us tremendously," they explain, noting that Jenny traveled abroad for the first time courtesy of a French Department endowment, and Joe traveled to Asia as part of a Sociology class. "Giving to Bowdoin is important to us, because we want current students to have similarly meaningful experiences." "We decided to use the Sundial Circle to make sure that we never forget to donate to Bowdoin!" Visiting the campus as high school students was transformative for both Jenny and Joe: It just felt right when we visited. They were energized by the differing viewpoints and the intellectual engagement of the students. When they arrived as students themselves, they were not disappointed. After graduation, Joe and Jenny found that their Bowdoin education not only opened professional doors to them, but helped them find their vocational passions. After a couple of years of working in marketing, Jenny decided to answer her true calling and work with kids. She attended graduate school and is now a speech-language pathologist working in the public school system. Joe worked for a consulting firm that recruited on campus, and he later decided to pursue his interest in information technology an interest cultivated while working for the Bowdoin IT department. After joining a Bowdoin-powered non-profit, Joe later worked at a tech startup, and is now the Director of Technology at a private school. Joe and Jenny are proudest of being parents: "our two year-old future Polar Bear is the best!"